Ideal to use in the classroom when learning about colors. 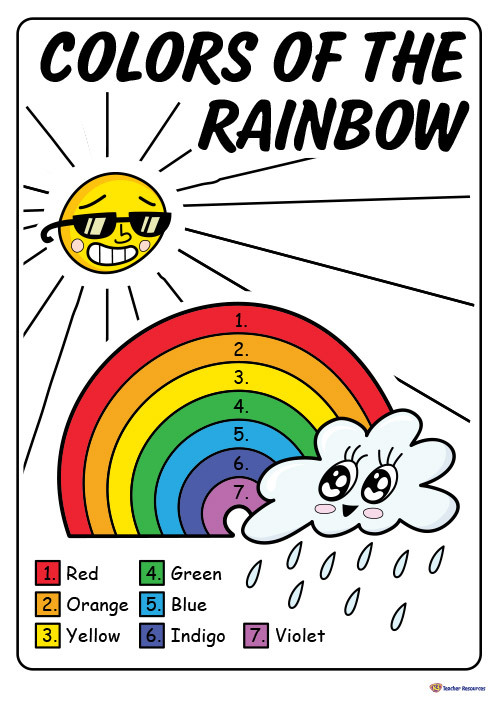 This resource can be printed and displayed in the classroom as a reference for identifying colors. The black and white version could be used as a coloring activity to help learn how to read and write the names of the different colors.